The overall mediocrity of the Cardinals, combined with an old stadium, caused game attendance to dwindle, and once again the Bidwills decided to move the team, this time to either Baltimore, Phoenix, or Jacksonville. Nonetheless, Cardinals fans were unhappy at losing their team, and Bill Bidwill, fearing for his safety, stayed away from several of the 1987 home games. 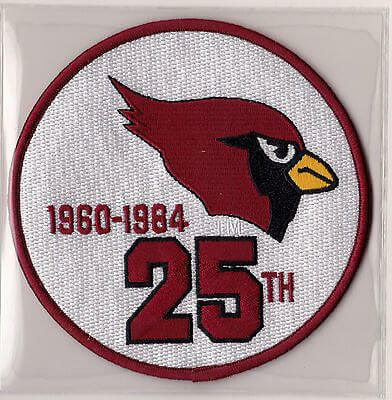 Their last home game was on December 13, 1987, in which the Cardinals won 27-24 over the New York Giants in front of 29,623 fans on a late Sunday afternoon. On March 16, 1988, the NFL team owners voted to allow Bidwill to move the Cardinals from St. Louis to Phoenix, Arizona for the 1988 NFL season. 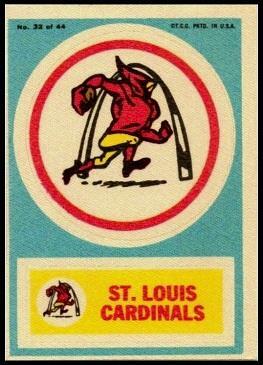 The club then moved to St. Louis in 1960 and played in that city through 1987 (sometimes referred to as the "Football Cardinals" or the "Big Red" to avoid confusion with the Major League Baseball St. Louis Cardinals). Who is the greatest St. Louis Cardinals (Football)?